Raising the bar for outdoor events, the Curtain Rail Suspension of the UnderCover 10x10 R-2 Instant Canopy is easy to set up and configure to fit your needs to create an elegant presentation. 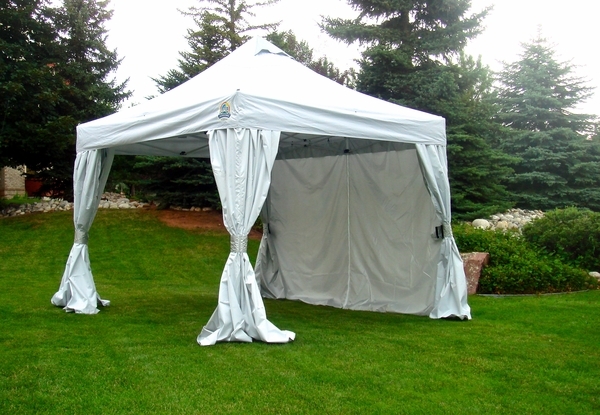 Set up this canopy as you want to,either completely enclosed or with the number of walls of your choice. Beyond the flexibility of a setting up exactly the way you want, without Velcro straps, the UnderCover 10x10 can be set the the height you want with it's Dial-A-Fit(TM)peak extender. 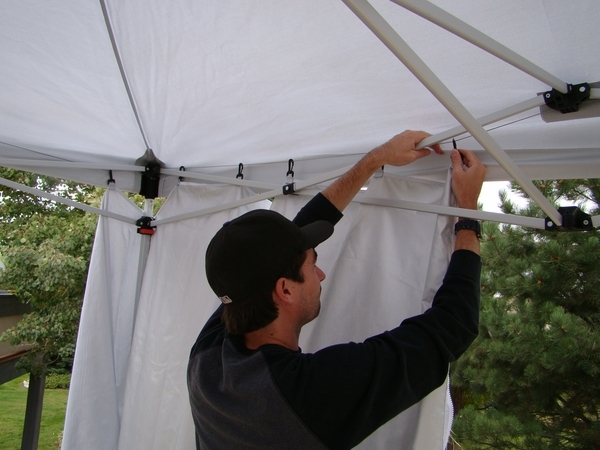 The peak extender gives you three heights to choose from, so your UnderCover Canopy can be customized to the size and look you want. All without buying additional parts or time-consuming work. In picture #9 on this site, the interior of the tent looks very dark. If the three walls are up is it this dark in the tent? I have had Caravan and Ez UP over the years and the light came through so the tent wasn't dark inside. I noticed there are some clouds in the sky in the pic but not full clouds. If anyone has had a Caravan or Ez Up then purchased this canopy could you please let me know what you think on this question? 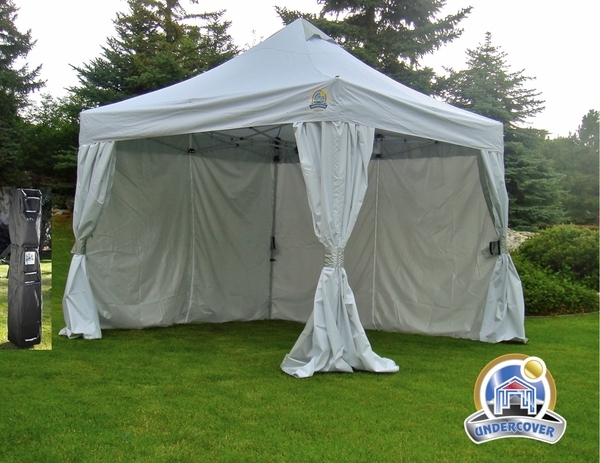 The Undercover brand canopies will indeed block out more light than the competitors canopies, as Undercover is the only manufacturer which utilizes an Aluminex silver undercoating. Caravan and EZ Up utilize no such coating, which allows more light to pass through into the canopy. This canopy weighs in at 45 pounds. 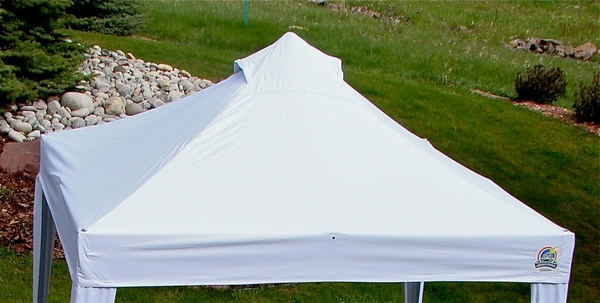 How well does this canopy top perform in the rain? 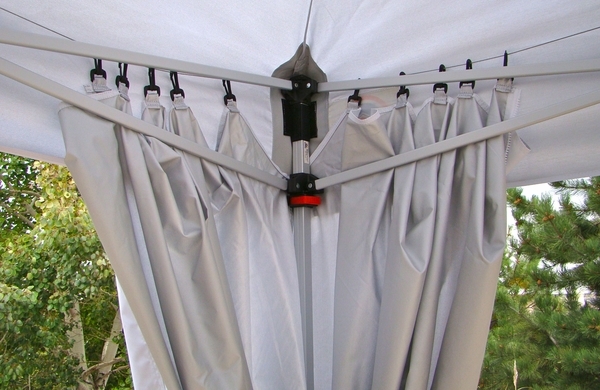 As with almost all pop up canopies, the top is water resistant but not waterproof. It will shed light rain but in heavy or sustained rains the top will eventually start leaking, especially if the water starts pooling in the top. How do the 4 sides walls attach to one another, either velcro ,zippers or some other method? I assume they connect centered between the legs. 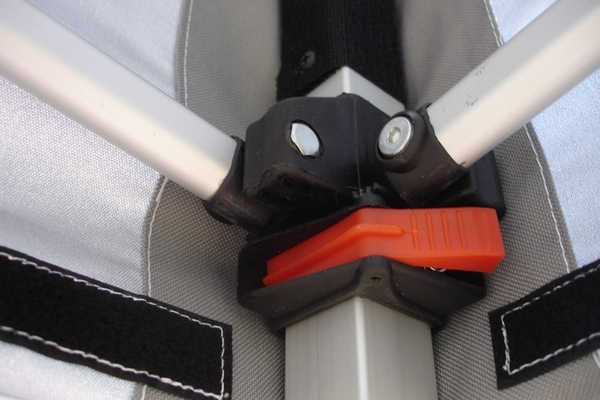 The CRS sidewalls attach to one another using zippers in the center between the support legs. What is the difference between this tent and the UC-3R10WV? The UnderCover 10x10 R-2 Instant Canopy with CRS Wall Enclosure - UC-2R10CRS weights 70 pounds and the walls are suspended from a rail system. The UC-3R10WV weights 46 pounds and the walls attach with velcro. What is the weight of this tent? Is it easy for one person to put up? 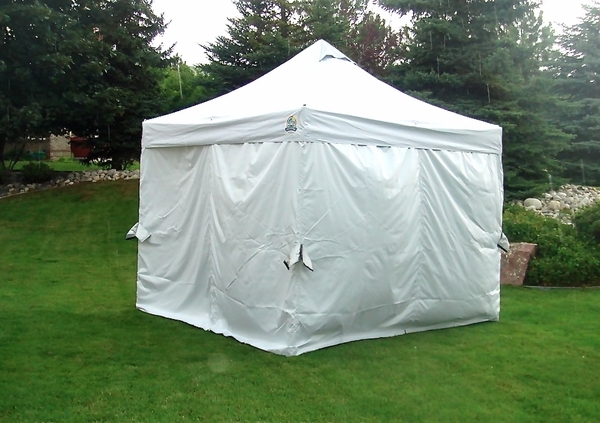 Is this tent sturdy enough to handle a summer summer without blowing away? The UC-2R10CRS by Undercover weighs in right at 70 pounds all together. 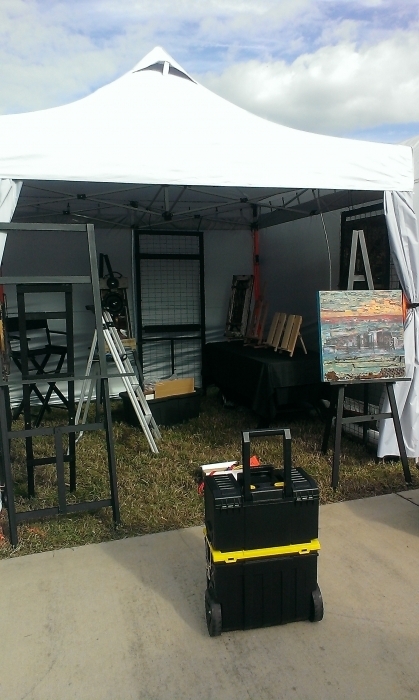 This canopy is very easy to setup, but the new style walls included take some practice to get used to. I would still be cautious when leaving the canopy up during a passing storm. The vented peak helps divert some of the wind that may be encountered.